Picture Search is a Windows Store sample app that is used to search pictures with Bing Search. The first part of this article series showed the implementation of a ASP.NET Web API service that itself called the Bing service. The second part of this series is about creating a Windows Runtime component that makes a request to the Web API service. The article is not only about the invocation of the service, but also the implementation of a Windows Runtime Component. The Class Library (Windows Store Apps) is a .NET library as we know it from creating .NET applications. 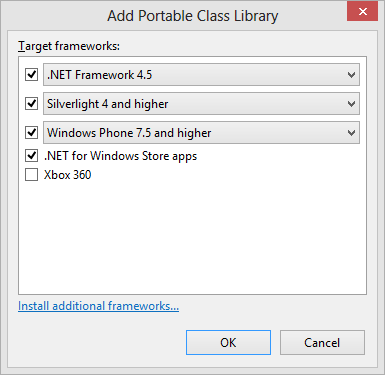 However, here the library is reduced to a .NET subset with classes and methods that are available for Windows Store apps. With the Add New Project template, The Portable Class Library cannot be found in the category of Windows Store templates. Instead, this template is available in the Windows category. This library is not restricted to use from Windows Store apps, you can use it with Windows desktop apps or Silverlight apps instead. The library can be configured for the available set of technologies (including Xbox 360) to create applications. Accordingly to the configuration only a subset of .NET is available. Windows Runtime Components can be created with a Visual Studio project template. An important restriction for this type of library is that all public types must be sealed – with the exception of UI components. PictureInformation represents the data which is received from the service: Title, Url, ThumbnailUrl, and Source. This class is similar to other .NET classes – with the exception that it needs to be sealed. Properties can be offered by Windows Runtime components directly. SearchManager is the second class in this assembly. This class is sealed as well. The GetImagesAsyncInternal method makes a call to the Web service. Similar to the first part of this article series, the HttpClient class is used to make the request. GetStringAsync returns a JSON result from the service. A JSON string can be parsed by using classes from the namespace Windows.Data.Json. The Windows Runtime offers JSON and XML classes in the namespaces Windows.Data.Json, Windows.Data.Xml.Dom, and Windows.Data.Xml.Xsl. The GetImagesAsyncInternal method uses the C# 5 async and await keywords for calling asynchronous methods. As usual with .NET async code, the method returns a task. The caller of an async mehtod does not block the caller thread. Continuation tasks are used behind the scenes with the await keyword. If this method would be declared public, a compile run results in the error that the task of the type is not a valid Windows runtime type. Public methods within Windows runtime components can only use Windows runtime compatible types in the signature. A Task can be converted to a Windows runtime type by using the extension method AsAsyncOperation. AsAsyncOperation is an extension method for the Task type and returns IAsyncOperation. IAsyncOperation is the interface of the Windows runtime (namespace Windows.Foundation) for asynchronous calls, and can be used with C# 5 async and await. 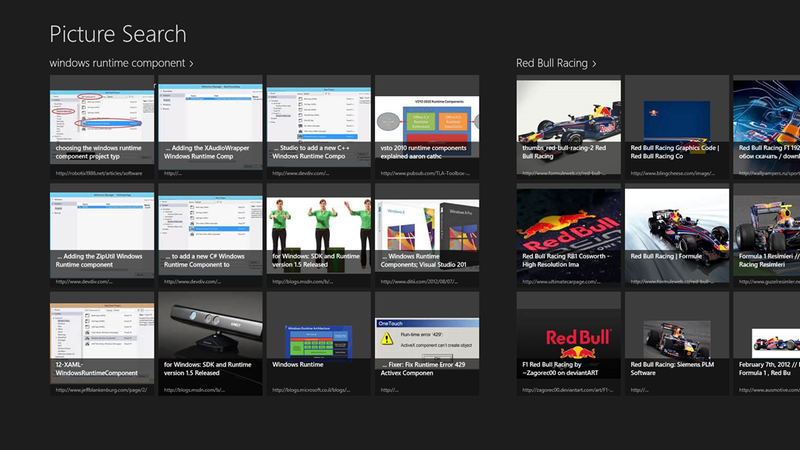 More about Windows Store apps in my book Professional C# 2012 and .NET 4.5, and my Windows Store App workshops. This post is invaluable. Where can I find outt more?